← Happy holidays, and thank you! 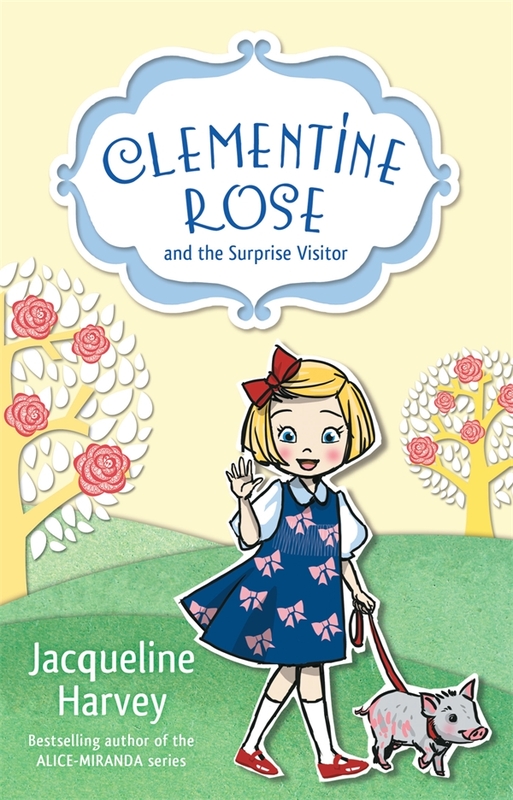 Jacqueline Harvey is an award-winning, bestselling children’s author. 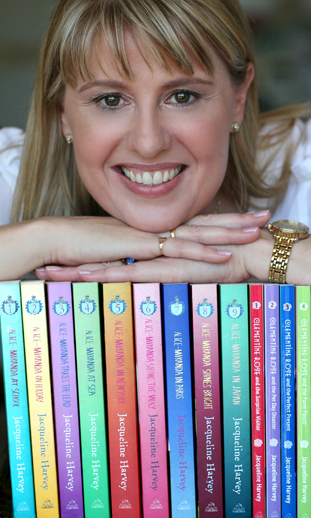 She has written 26 books for young readers, including 12 in the acclaimed Alice-Miranda series and 10 Clementine Rose titles. Her first and only picture book, The Sound of the Sea, was an Honour Book winner in the 2006 Children’s Book Council awards. 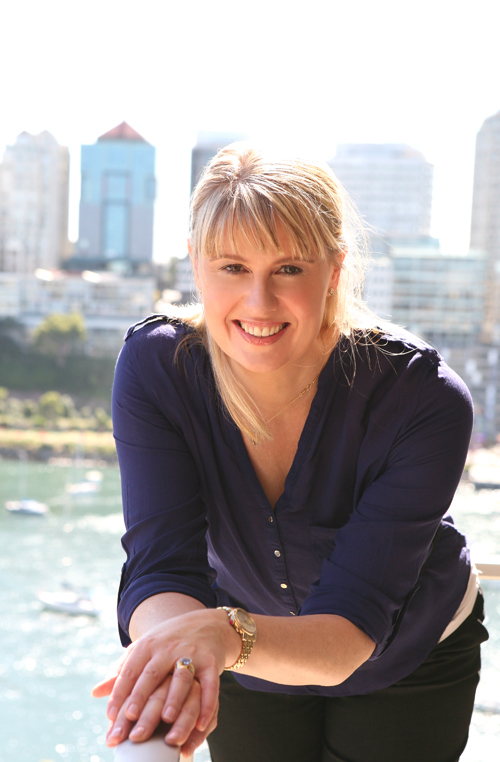 She has been shortlisted and won various children’s choice awards and has thrice been shortlisted in the Australian Book Industry Awards. Her books have been translated into numerous languages and Alice-Miranda has been optioned as a television series. She is soon to start narrating the audio books for release in 2016. A highly experienced teacher and presenter, having worked for many years as a teacher and Deputy Headmistress, Jacqueline has delivered hundreds of talks and workshops including at the Sydney Writers’ Festival, Melbourne Writers’ Festival, Singapore Writers’ Festival, Children’s Book Council events and other festivals in Australia and overseas. Jacqueline is an ambassador for Dymocks Children’s Charities and Room to Read. I began to entertain thoughts of being a writer during my teens, though never having met any authors I had absolutely no idea how you’d go about writing a book or getting it published. By this stage I knew I wanted to be a primary school teacher so at University I took all of the children’s literature electives I could in order to learn more. I remember one of my lecturers gave me back a story I’d written and suggested I should think about writing with a view to being published. While I thought that would be great, it took years for me to pluck up the courage to send my work out. In the meantime I wrote stories and poems and plays for the children I taught. I was also the school PR person and wrote regular articles for the local newspapers too. After ten years in education, I took long service leave and moved to Byron Bay for a while where my husband really encouraged me to give writing a ‘proper go’. I did and as many of us know the wheels of publishing move slowly so I took a job back in Sydney – for 6 months that turned into 11 and a half years. I managed to get a foot in the door of the mysterious world of publishing when I won the Frustrated Writers’ Mentoring Competition held annually by the Children’s Book Council in New South Wales. It has a more glamorous name these days but still exists! Winning led to publishers asking if I had anything I could show them and in turn that led to a three book junior fiction series and an award-winning picture book. By 2005 I really thought I was on my way as a writer then took a long walk in the writing wilderness where I wondered if I’d ever have anything published again. 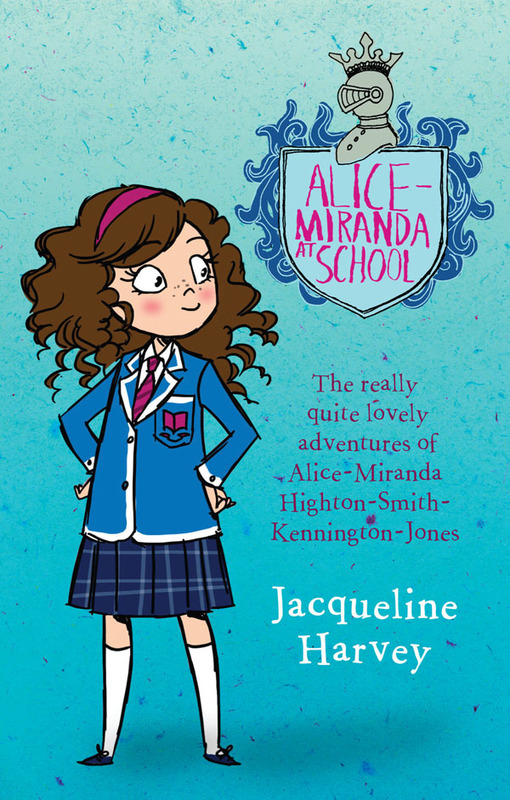 It was during that time I hit on the idea of Alice-Miranda and decided that I was just going to write a book I would have loved when I was nine years old. I took three years to write it and was rejected by several publishers before Random House picked it up and to say life has changed since then would be a huge understatement. 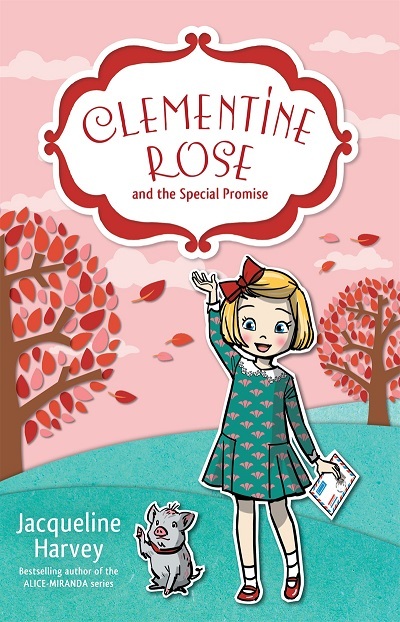 Clementine Rose and the Special Promise, the 11th book in that series, just came out on the 1st! 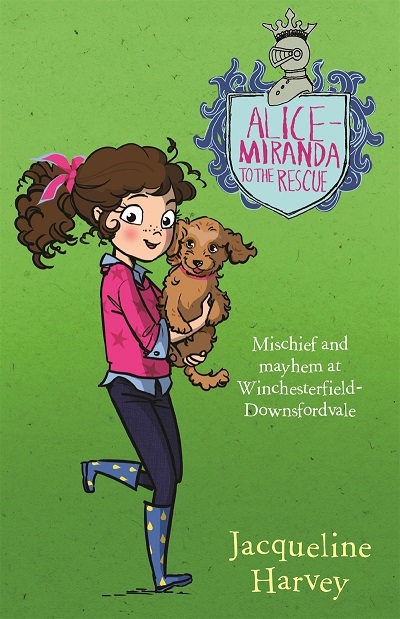 I’m currently finishing Alice-Miranda to the Rescue, the 13th book in the series, which will be out 1 February. I work from my study at home which I share with my husband – he has a desk at one end and mine is at the other looking out into two courtyards. I can see treetops and the beautiful roof of the Queen Anne-style mansion next door. My typical writing day involves being at the desk no later than 7.30am. I will check emails and attend to anything urgent before I start writing. It depends where I am up to in the process as to how I work. Before I start a new book, I look at the deadline then go through my Outlook calendar and allocate work days and word counts that need to be achieved in order to stay on track. They tend to be somewhat movable feasts as there are unexpected things that crop up. If I’m still thinking about ideas I use my whiteboard and giant Post-it notes to plan and a notebook too. If I’ve got the plan fairly firmly nutted out then I work on the story – I always type it and revise as I go. I also read everything aloud to make sure that the voices are right and the characters are behaving as I imagine they would. I like to write away from home too which is helpful as we travel a lot. But that could also mean just wandering down to the local café and doing some work there to have a change of scenery. When I stopped working in school writing became my full-time job. I will often work from 8am until 6pm or longer if required, although I do try to get out during the day and go for a walk or reward myself with a coffee. It’s great to achieve the word count early in the day and then I will devote the afternoon to administration, social media and the like. I prefer not to work in the evenings when my husband gets home although given we’re both pretty addicted to work, that doesn’t always happen. There is really no delineation between weekdays and weekends a lot of the time too. When I have an idea I write it in my notebook then I start to plot. I spend time finding out as much as I can about the things that will be in the story and there have been times I’ve written to experts to seek advice (the international lepidopterist society was one when I was writing about a rare and endangered Spanish butterfly!). I refer to photographs of places we’ve been a lot too if I’m setting the story in a location I know. As I currently write two different series I know the ensemble casts well, but a book will always involve some new characters too, so I start thinking about who else needs to be in the story. I spent a lot of time coming up with the perfect names (there is much time wasted on baby name websites!) and I trawl online phone books for surnames. I tend to plot on the whiteboard and giant Post-it notes then when I think I know enough I will start to write. I really don’t ever start until I have a fairly good idea of the ending – I certainly don’t know all the twists and turns but I like to have a skeleton outline containing what I call the ‘big ideas’ so I know where I’m heading. My deadlines tend to see me writing a minimum of 1,000 words a day and often up to 3,000 to make sure that I get things finished on time. I love it. I have always been a storyteller and now I get to share my stories not just with immediate friends and family and children that might have been in my classes, I get to share them with children around the world – it’s so humbling to know that a child in China or England or Brazil loves the character you created as much as you do. Lots of my ideas come from snippets of my life, things I’ve experienced, travelling, perhaps an interesting article in a newspaper – those ‘life is stranger than fiction’ occurrences, observations and of course sometimes ideas just pop into my head and I have no idea where they came from. The hardest part of being a writer is the discipline required. There is no one physically standing next to you (except when my husband is working at his desk at the other end of the room) telling you to get on with it and yes, while we have deadlines, the publisher and editor aren’t there with you, cracking the whip. Having worked in schools for almost my entire adult life, the isolation can be tricky. I do miss having colleagues around me and those incidental chats that sometimes spark great ideas. The flip side of being my own boss is determining my schedule and being able to do things like grocery shopping in the middle of the day or ducking off to have lunch with a friend. I loved teaching but schools are a bit like a straitjacket with timetables and terms. Being a writer gives me a much yearned for flexibility. You have to be self-motivated and you have to finish things and sometimes that’s hard. It’s hard to know when it’s good enough and it’s hard to let go but deadlines tend to have a loosening effect. I have recently heard several author friends who are just having their first books published talk about the phrase ‘managing their expectations’. I couldn’t agree more. I wish someone had taken me aside and said that it wasn’t likely anyone would want to interview me when my first book came out (and many more after that) and that I wouldn’t suddenly be in demand as a speaker and that it would be wonderful to sell just a few thousand copies. Overnight success in this industry is rare and the journey is often full of disappointments and challenges (some of which might have been less challenging and disappointing if I’d had someone tell me about managing expectations). I want to write stories that children enjoy and that will stand the test of time. I would love to think that long after I’m gone there’s still a little person enjoying Alice-Miranda or Clementine Rose’s adventures. Books change children’s lives and certainly the biggest reward I get are the letters and emails from children and parents who tell me that they or their child has come to love reading because of one of my books – what an incredibly humbling thing to know. In terms of the publishing world – I’d love to see paper books continue to trump e-books, especially for children. I also hope that we have wonderful booksellers and fabulous bookshops long into the future. Great interview which also demonstrates how hard longterm children’s authors actually work, despite the flexibility of when they work. Jacqueline has always been very professional in her approach. Hi, Hazel. What impresses me too is not only the enormous effort that goes into producing the work in the first place but then to “perform” as such when presenting, reading, running workshops etc. Children are a tough audience and I’ve enjoyed watching Jacqueline engage with young fans at various festivals – she is great at what she does!